Cereal grasses such as Green Barley have been found to be excellent sources of beta-carotene, vitamin K, folic acid, calcium, iron, protein and fibre, as well as good sources of vitamin C and many of the B vitamins, including B12. 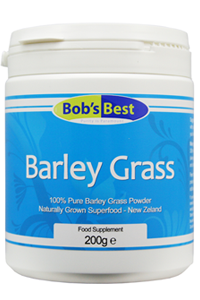 A lot of Barley Grass powder comes from China where it is grown indoors in trays and harvested before it has had time to develop its full nutritional potential. 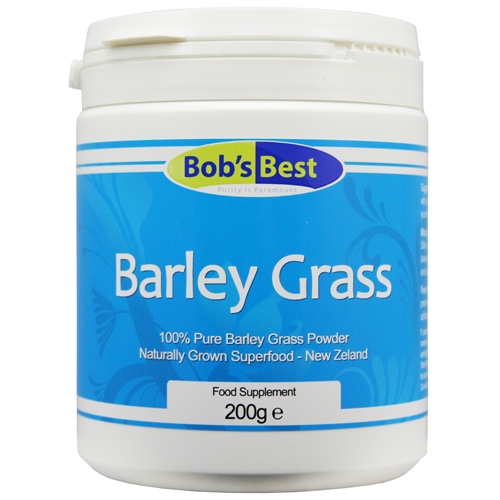 Our Barley Grass powder is grown on New Zealand's sunny plains where it is given more time to develop before being cut and dried into leaf powder. The resultant product is bursting with vitamins, minerals, enzymes and chlorophyll. Suggested use: Take one teaspoon with purified water twice daily or as directed by your healthcare professional. Add fruit juice to taste. Free from yeast, dairy, egg, corn, soy, sugar, starch, salt, preservatives, artificial colours flavours or any other additives.